You may have seen the movie. For that matter, you may have seen it a dozen times and can say the lines along with Mammie, Scarlett and Rhett. But, in asking the perennial "book or movie" first question, the answer for this classic Southern work is, "It just don't matter, sugar." They are two independent experiences. Admittedly from the movie there is already a distinct image of Tara, Twelve Oaks and Atlanta. But the book offers many other images left on the cutting room floor. For example, there is a chance to meet Ellen O'Hara, Scarlett's mother; the caretaker Will, (it was, he not, Mammie who held Scarlett back from running to Ashley upon his return from war); and many of the town folks. There is even an opportunity to gain a greater appreciate of Melanie and to develop a more complete crush on Rhett. Gone With The Wind isn't on the level of Ken Burns' award-winning PBS series, but it provides insight to the Civil War and the South. If one was to understand the treatment of slaves exclusively from Gone With The Wind it would give the impression of a very familial relationship between owner and slave. Clearly this is not the case. Regardless, Gone With The Wind takes the reader from the dawn of the Civil War to its conclusion. We take the journey with Scarlett O'Hara, a strong willed woman who flies in the face of convention with her management of love and business affairs. It's her headstrong determination that enables her to keep possesion of Tara, the family home, despite the vicissitudes of war and passion. Along the way, she offends and pleases. However, despite her admirable resourcefulness it breaks your heart that she can be so painfully dense. Long after finishing the book, you will miss Scarlett, Melanie and Rhett. 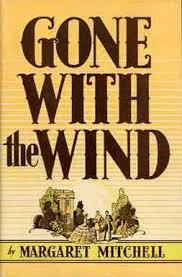 Margaret Mitchell's only novel was the best-selling Gone With the Wind, which won the 1936 Pulitzer Prize. The equally popular film was released in 1939. Originally published in the September/October 1994, Volume 1, Issue 5 of The Literary Cafe. Life with Jeeves is a collection of three books that tell the hilarious tales of Bertram "Bertie" Wooster and his manservant Jeeves, who bails him out of countless misadventures. Bertie is a sop, and a snob--but only because he was taught to be. He means well. Life with Jeeves includes The Inimitable Jeeves, Very Good Jeeves! and Right Ho, Jeeves. Separate or together, these books are a wonderful respite from modern times. The numerous adventures of Bertie and his highfalutin' English society friends are witty, wilting and right on the money. "You know, the longer I live, the more clearly I see that half the trouble in this bally world is caused by the light-hearted and thoughtless way in which chappies dash off letters of introduction and hand them to other chappies of the third part. It's one of those things that makes you wish you were living in the Stone Age. What I mean to say is, if a fellow in those days wanted to give anyone a letter of introduction, he had to spend a month or so carving it on a large-size boulder, and the chances were that the other chappies got sick of lugging the thing around in the hot sun that he dropped it after the first mile. But nowadays it's so easy to write letters of introduction that everybody does it without a second thought, with the result that some perfectly harmless cove like myself gets in the soup." Bertie's words speak volumes. The mind boggles at the “what if” Bertie Wooster had email. P.G. 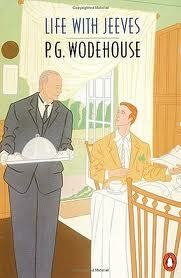 Wodehouse was born in Guildford, England in 1881. He is the author of numerous books and part author and writer of the lyrics of 18 musical comedies. For those who want to know about the man, P.G. Wodehouse A Life in Letters edited by Sophie Ratcliffe has just been published by W.W. Norton & Company. Uncork the wine and get a ticket to Florence! If you think the Tuscan capital is the most beautiful city in the world, you must see it again through Michelangelo's eyes. Michelangelo is an unparalleled artist of conviction and integrity, a brilliant mind trained in a Renaissance home among the intellectuals of Lorenzo de Medici's court. Michelangelo was spiritually driven and wildly tormented by loyalties to himself, his family and the Church. The Agony and the Ecstasy enhances what little you may remember from art history. After reading it, you will want to break out your Janson History of Art and look at Michelangelo's body of work again. As you so do, you will not only see sublime beauty, you'll also understand what Michelangelo was thinking and what the Church's role was. 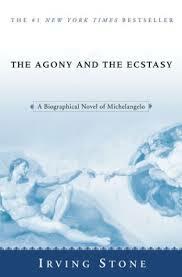 The Agony and the Ecstasy is an historical novel that provides a beautiful backdrop to the most dynamic time in Florentine history. Biographer Irving Stone's first novel Lust for Life, published more than 60 years ago, established him as a master of recounting the lives of historic figures. Lust for Life chronicles the days of Vincent Van Gogh. This author also wrote The Origin, based on the life of Charles Darwin. Originally published in June/July 1994, Volume 1, Issue 4 of The Literary Cafe. Little touches make The Shipping News unique. Maybe it's the picture of a knot that has both a practical function and previews each chapter. Perhaps it's the headline Quoyle think to himself every time disaster or embarrassment strikes. Whatever the reason, The Shipping News is a difference voyage. The story of Quoyle, an insecure man with an oversized chin, begins when he meets Petal, a train wreck who becomes his wife. Petal bears him two children and a lot of grief before she is killed in a car crash on her way to leave him. Quoyle rescues his children and is subsequently rescued by his aunt. The aunt suggests a new start in their ancestral home in Newfoundland. Barren, cold and unforgiving, Newfoundland is only for survivors. The book can give you chills in the middle of July. The wounded little family heads for the town of Killick-Claw, where the aunt has rights to their original home. Isolated on a cove away from town, the home has been moved to the site on a flatbed and pulled by hand. One side is propped up to stay the relentless, harsh wind. Once they move in, Quoyle sets out to find a job. Following up on a lead from his former editor, he seeks out The Gammy Bird, the local newspaper. At first his role is to cover local mishaps and the ebb and flow of town life. But, when Hitler's yacht sales into the harbor, he takes over the Shipping News column. That's all you get to peak your interest, but the story has many colorful twists and characters--worthy and just warped enough to survive the local climate. The Shipping News is an original--a black comedy that will warm your heart. E. Annie Proulx is the first woman ever to win the PEN/Faulkner award for her first novel Postcards. The Shipping News, which is her second novel, won the National Book Award and the Pulitzer Prize for fiction in 1994.